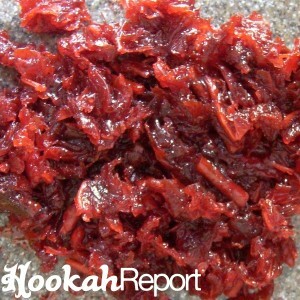 Al Fakher Peach has your typical Al Fakher medium to fine cut and is evenly wet and juicy making it very easy to pack in any bowl. 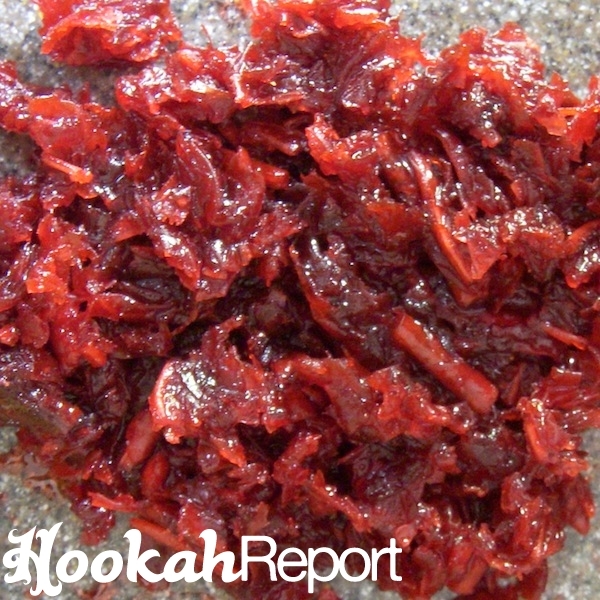 The tobacco is dyed red, a very common practice for Al Fakher. Al Fakher Peach was smoked many times with different bowls and coal amounts. 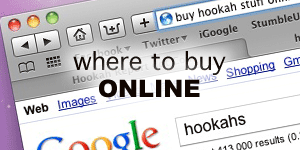 When this review was written, it was smoked out a Khalil Mamoon hookah along with an HJ Alien Mini Phunnel bowl and 2 Chronic Hookah coals. As is typical to Al Fakher, once coals were added to the packed bowl, it started to smoke almost instantly with very minimal effort. The flavour came when the large clouds did and continued to smoke well until the end of the bowl. 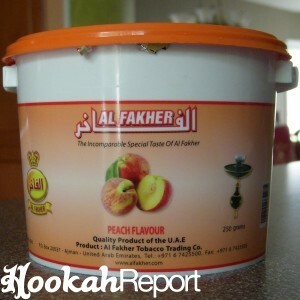 The taste of Al Fakher Peach is very candy like. It more resembles the Fuzzy Peaches candy rather than bitting into a real peach. Because this is a washed tobacco, you do not get any of the natural tobacco taste that you would get from other brands such as Nakhla. Al Fakher Peach is also a great mixer and can be easily combined with Al Fakher Vanilla or Mint to enhance the smoking experience. Being a very wet tobacco, you have to be very careful when packing this flavour into egyptian clay bowls as the molasses may drip down the bowl into your stem. It if recommended that you use a Phunnel, Vortex or Superchief bowl to smoke this tobacco to help prevent any dripping. Anyone who is a fan of sweet flavours will definitely enjoy this flavour as it is sweet but not overly sweet. Also, if you are like me and, when you go to the movie theatre, you purchase a bag of Fuzzy Peaches candy, you will really enjoy this flavour as it is very similar in taste.